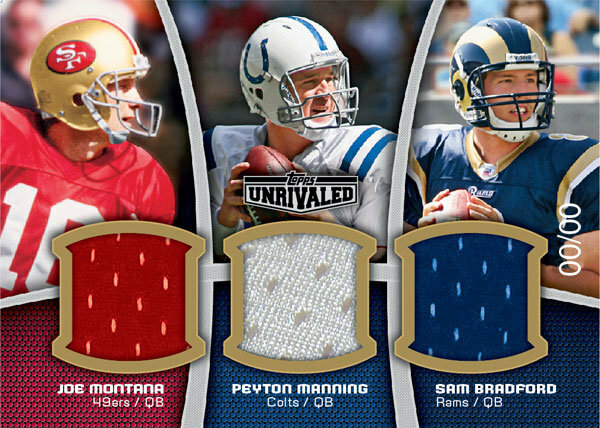 7 Different Parallels, including a Veteran only "Unrivaled Parallel"
2010 Topps Unrivaled Factory Sealed FB Hobby Box Gronkowski Tebow RC's ?? @BRYAN GEIST: There’s something extremely tacky about Unrivaled. It’s like they used Upper Deck’s “Game Jersey” template to create an entire product.